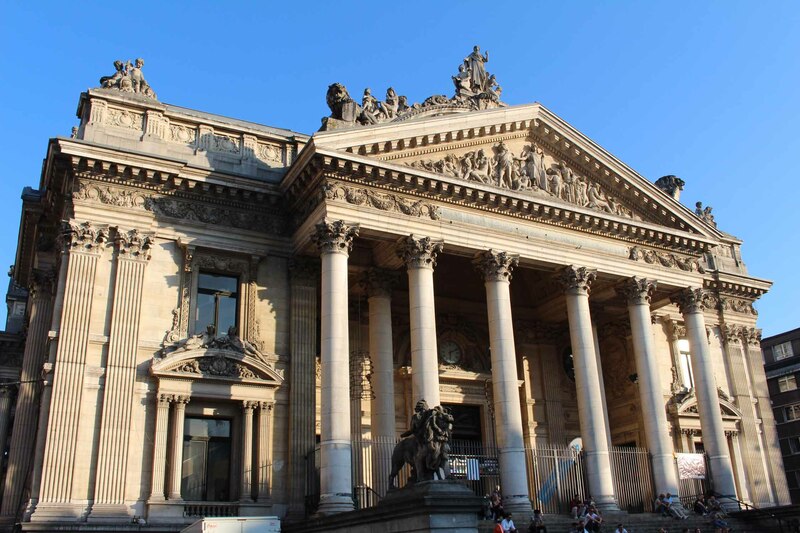 Brussels Stock Exchange. This imposing construction (1868-1873), which reminds the Opera of Paris of Charles Garnier, was built by Leon Suys. Several artists collaborated in the program, of which Auguste Rodin.